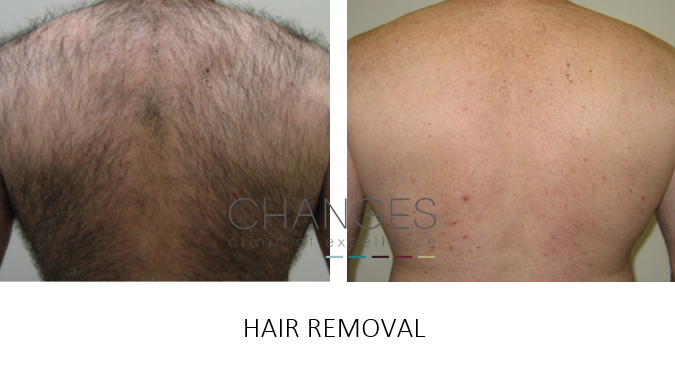 Get rid of unwanted hair for good with our permanent hair removal treatments. Consultation essential. 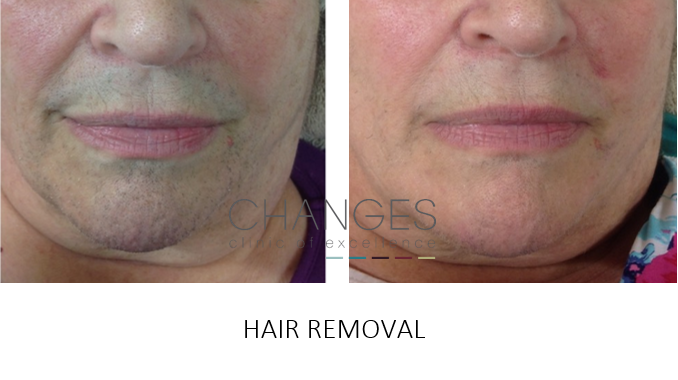 Both hair removal treatments offer a long-term solution to unwanted or excess hair for both men and women and are suitable for most areas of the face and body. 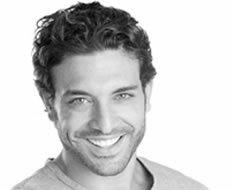 Hair reduction works when the light produced by the Laser or IPL equipment is absorbed by the pigment in the hair follicle (melanin). The light energy heats the pigment and effectively destroys the cells in the hair follicle which are responsible for hair growth, without damaging the surrounding cell, resulting in the permanent removal of hair. The Laser or IPL is placed on the skin and a short pulse of light is released, which targets many hair follicles simultaneously. 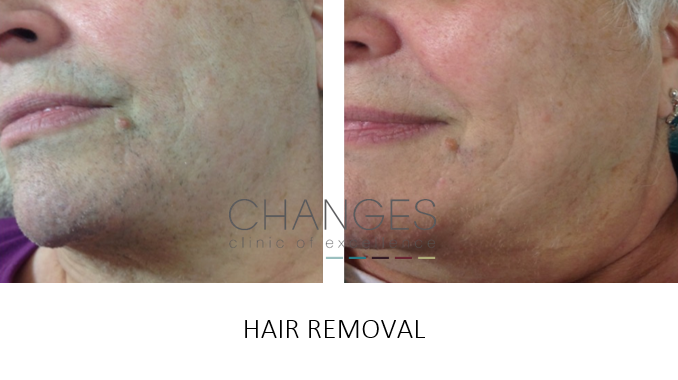 The applicator is then moved to the neighbouring area of the skin and the IPL or Laser hair removal process is repeated until the entire area is covered. Both IPL and Laser Hair Removal treatments generate heat to kill the hair follicle. The hair removal method used depends on your skin tone and hair type. 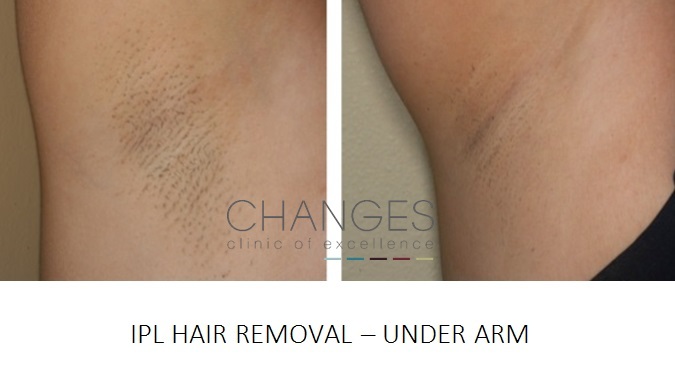 This is identified as part of your hair removal consultation by our highly qualified practitioners. You will be patch tested during the consultation and your skin will need to be free of natural and/or fake tan. A treatment will be required every 4-6 weeks in order to catch each cycle of your hair growth. Over time, the follicles from each cycle are eliminated forever! You may see a change in hair cover after a couple of treatments. 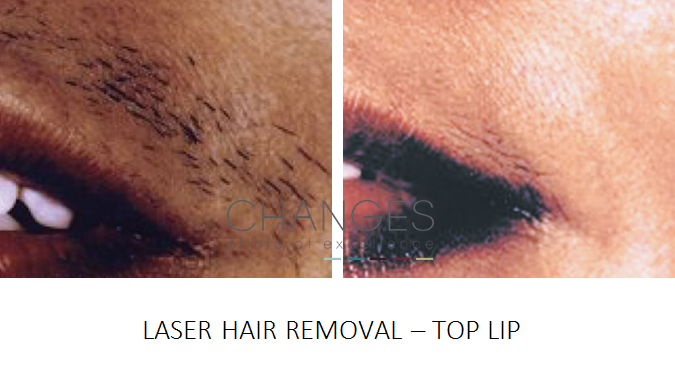 Permanent hair removal takes place when all cycles of your hair growth are gone.  This is unique to each client so the number of treatments can vary from 6-12 depending on you and the area of the body we are treating. You’ll be surprised how quickly you notice the difference. But once it’s gone, it’s gone forever. If you count the number of times you wax, epilate, or shave in a lifetime, then you can understand why Laser Hair Removal and IPL Hair Removal treatments are so popular. 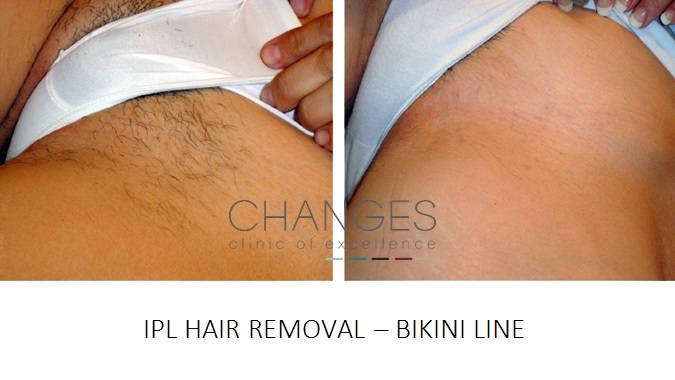 Call today to find out more about our permanent hair removal prices – seasonal discounts apply! Please note: We treat transgender patients via NHS funding as an NHS approved supplier of Laser & IPL Hair Removal. Most people are suitable for permanent hair reduction treatment. Best results are seen with people who have lighter skin and darker hair. Dark hair is more easily treated as it has a high concentration of melanin. Fair hair however contains less melanin so is harder to treat. Grey/white hair has no melanin so is not suitable for IPL or laser hair reduction treatment. Treatment sensation varies but is often described as a ‘flick of an elastic band’. 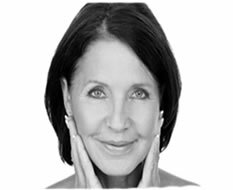 No anaesthetic is required and most clients describe the discomforts as moderate and tolerable. The hair follicles are damaged by the heat but the hairs remain in the follicles. The dead hairs shed after 1 to 3 weeks as the epidermis renews. During this period the hairs will seem to grow as they are pushed out by the new epidermis. 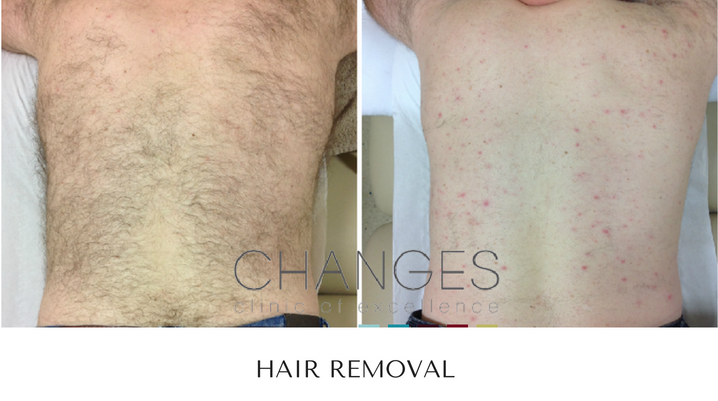 Only hair that is actively growing is affected, therefore multiple hair removal treatments are needed. Treatments are conducted every 4 to 8 weeks depending on the area being treated, until a good result is seen. The number of treatments varies, although typically 6 treatments or more are needed for optimum results.